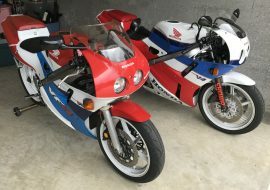 Not one, but two of the most sought after middleweights have become available because of a slight shortage of garage space. 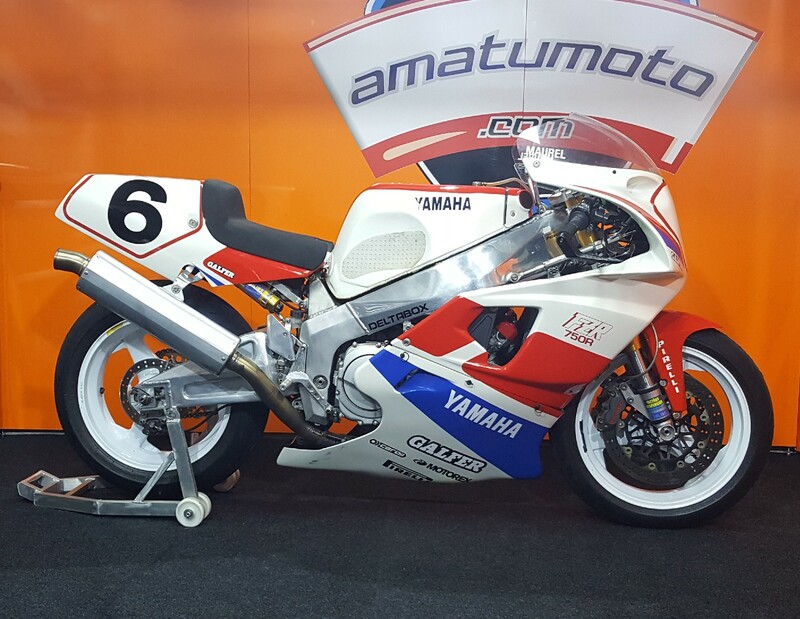 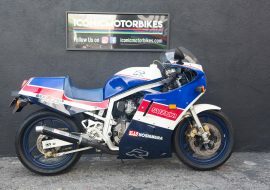 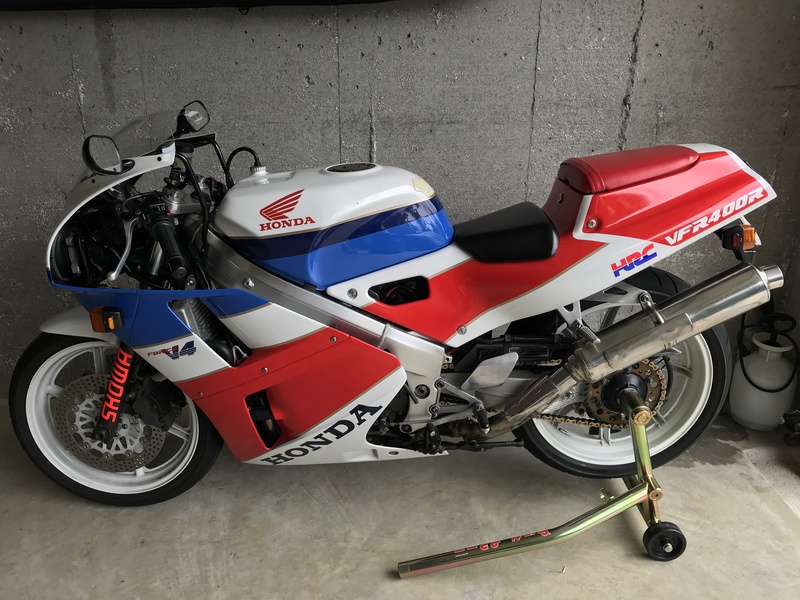 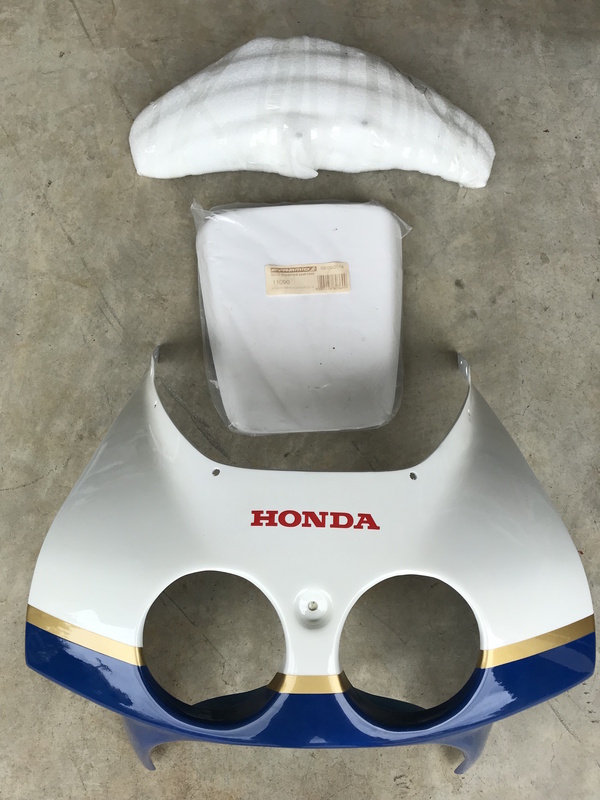 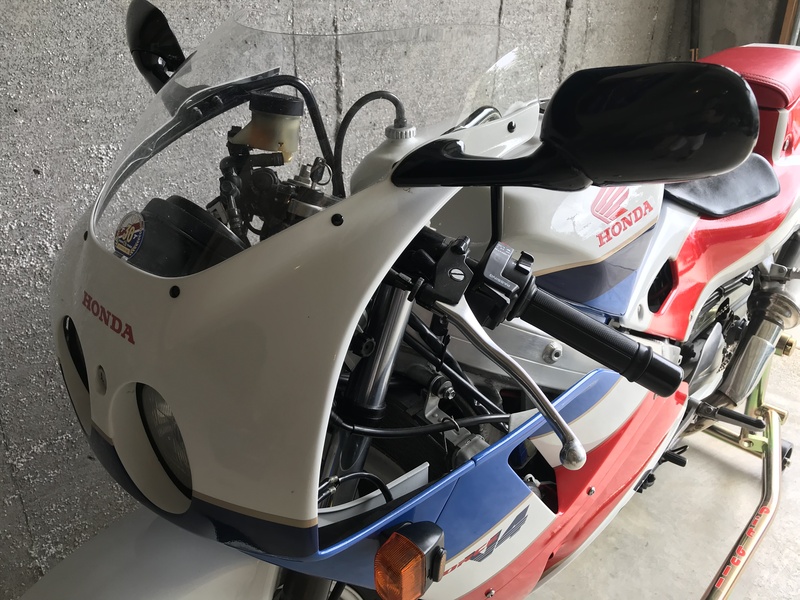 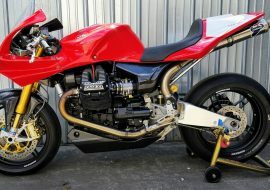 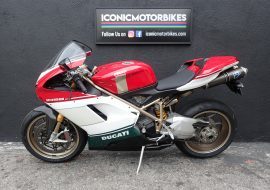 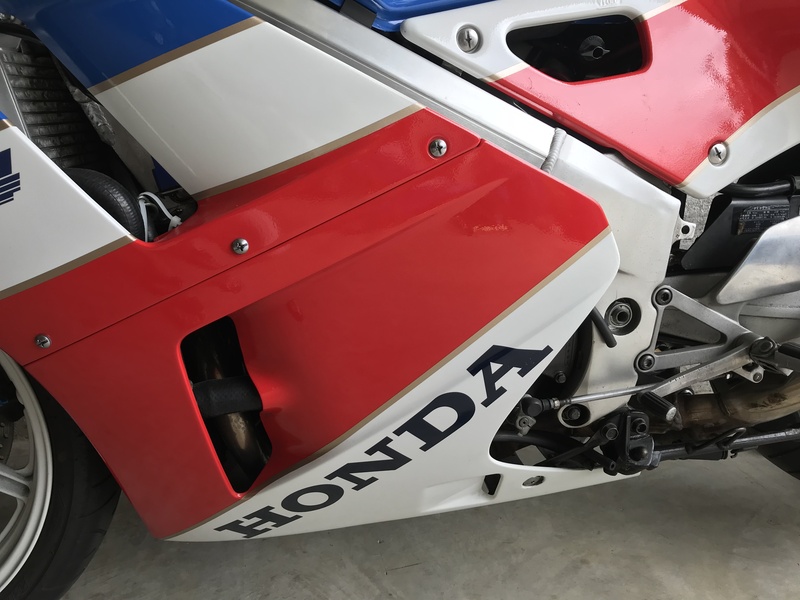 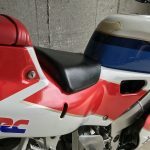 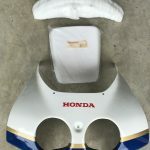 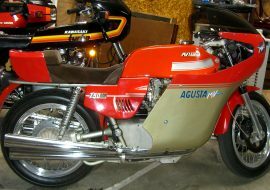 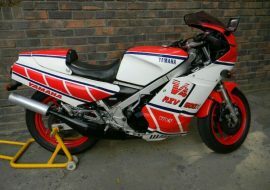 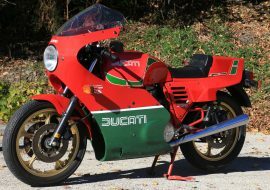 The 1990 ( white tank and nose ) was purchased from RSBFS sponsor Moto2 Imports and the 1989 ( red tank and nose ) found locally. 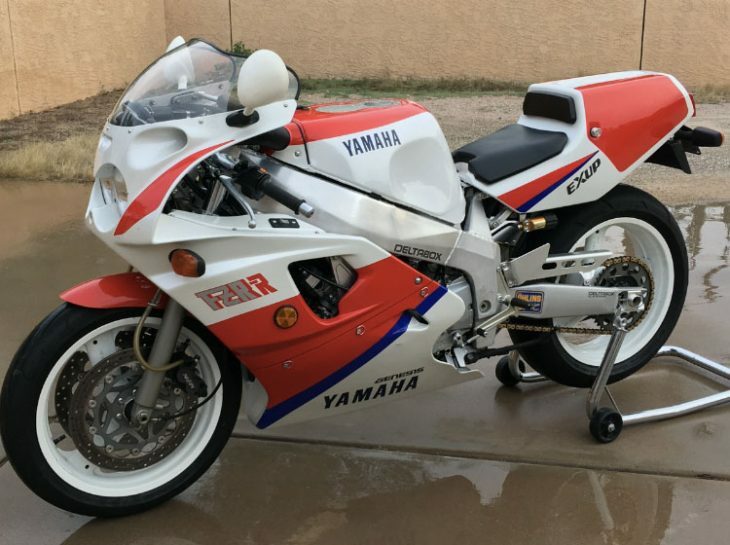 A tune-up for the '89 put things right, traded bodywork with the 1990, and both are for sale. 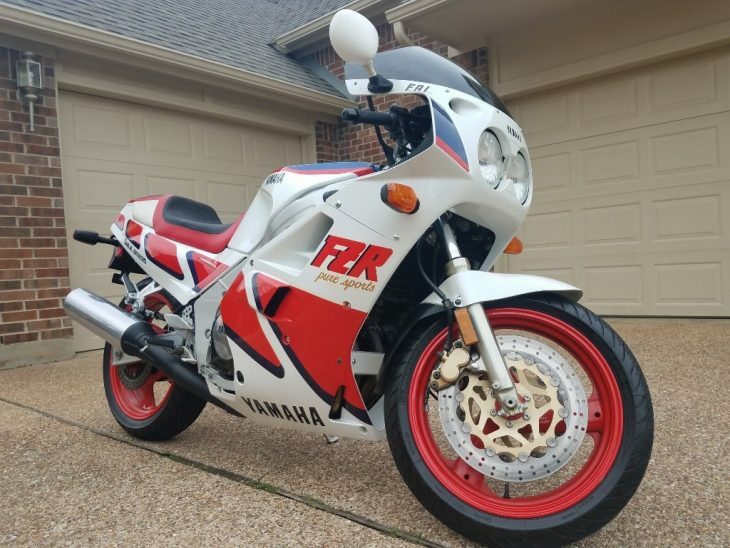 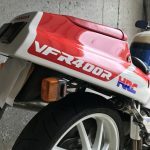 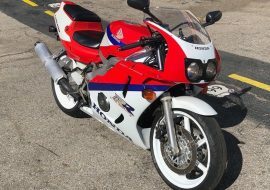 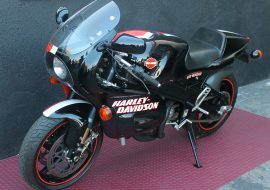 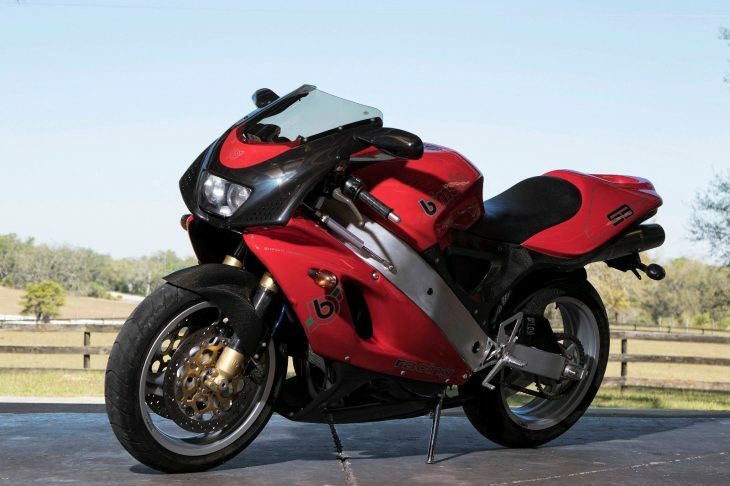 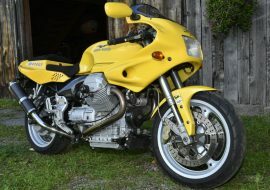 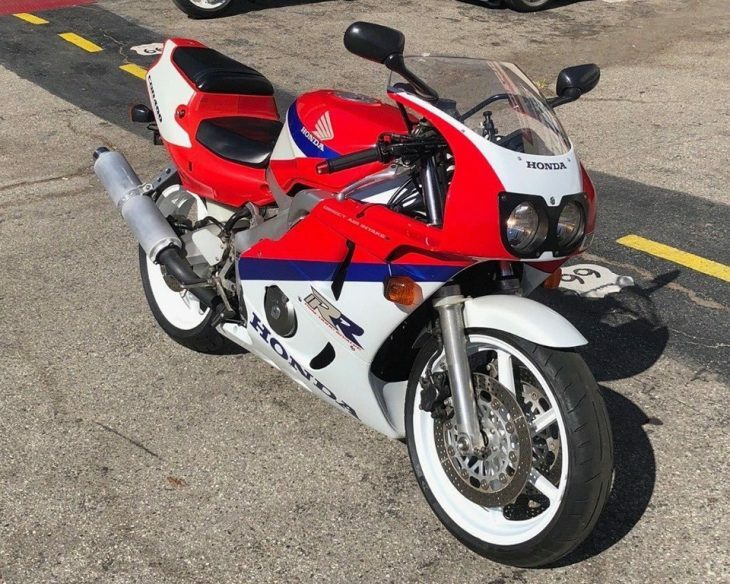 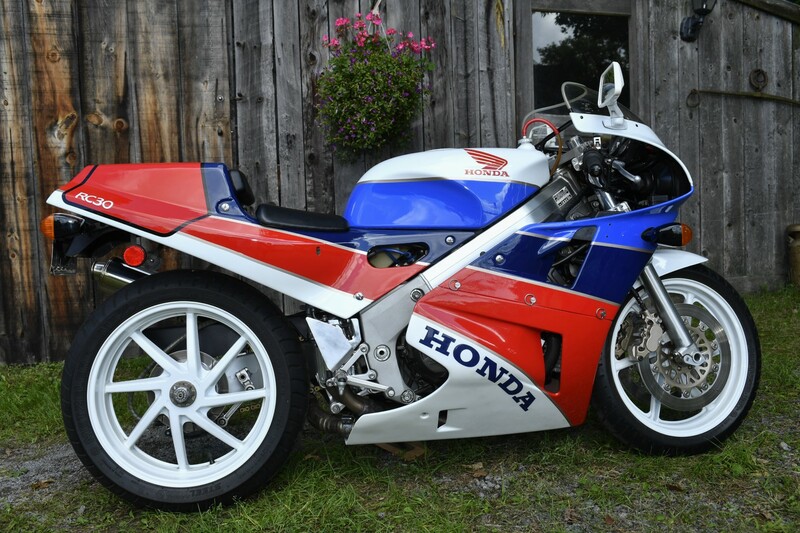 The NC30 was built from 1989-92 and was the latest of three VFR400R generations. 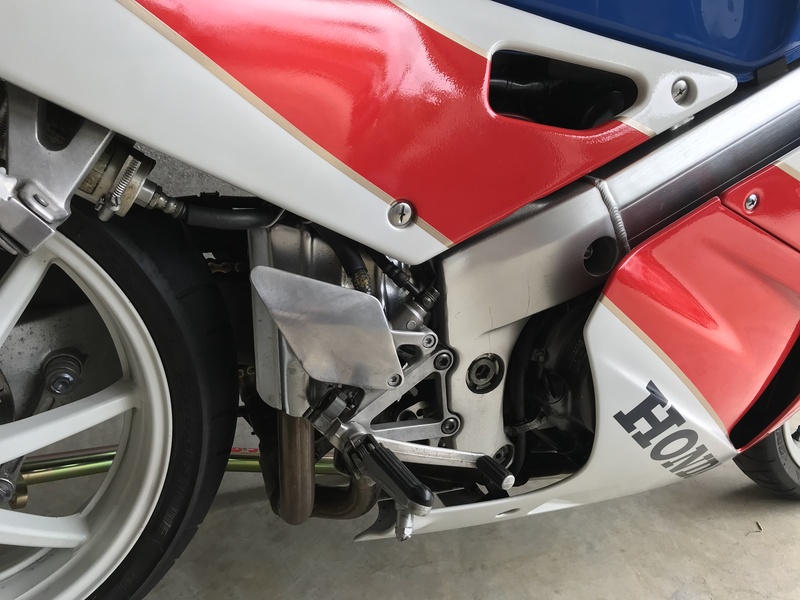 The lightweight and sweet handler was meant for the Japanese market and their progressive licensing laws, but acquired a following in the U.K., down under, and lately here in the U.S. 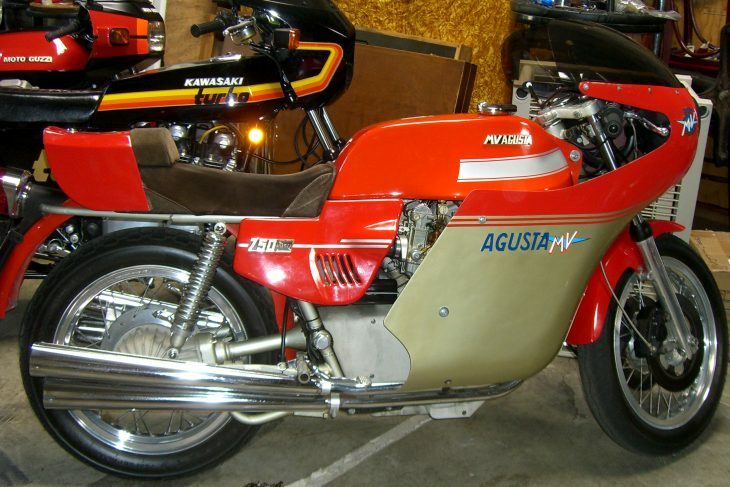 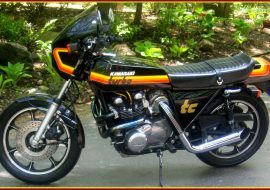 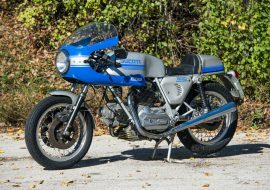 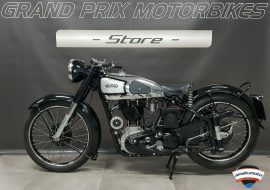 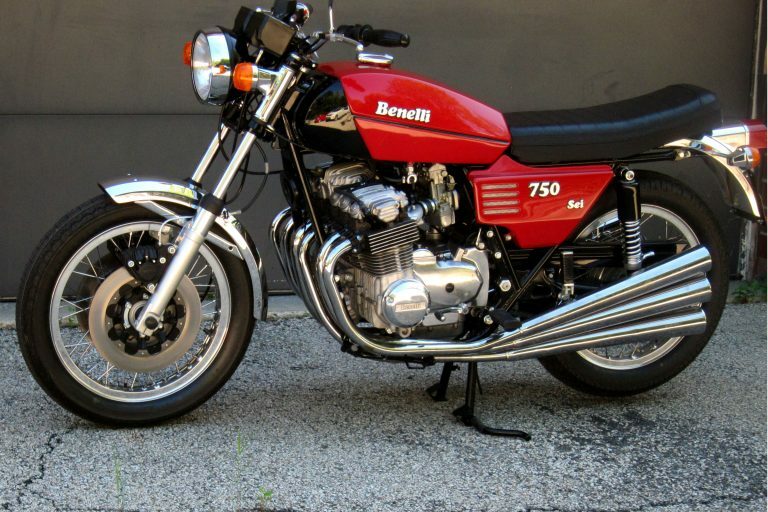 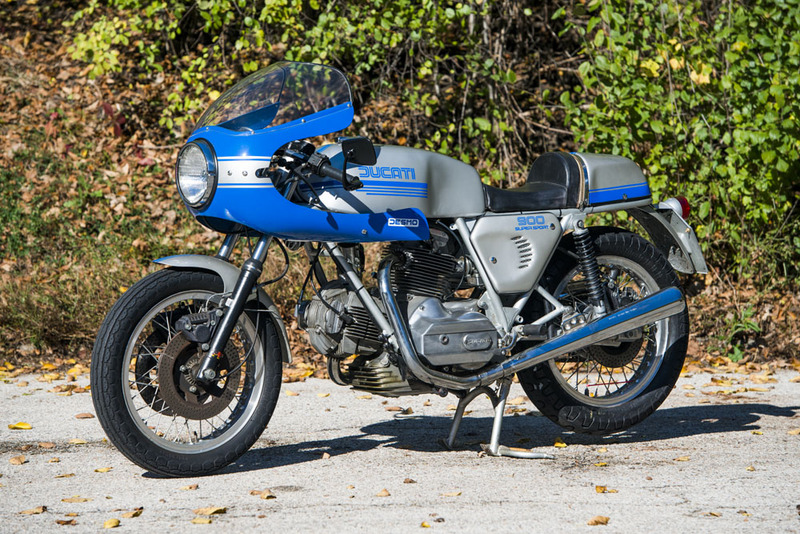 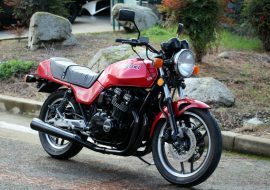 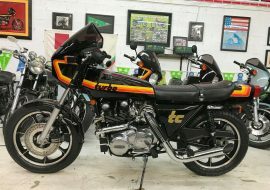 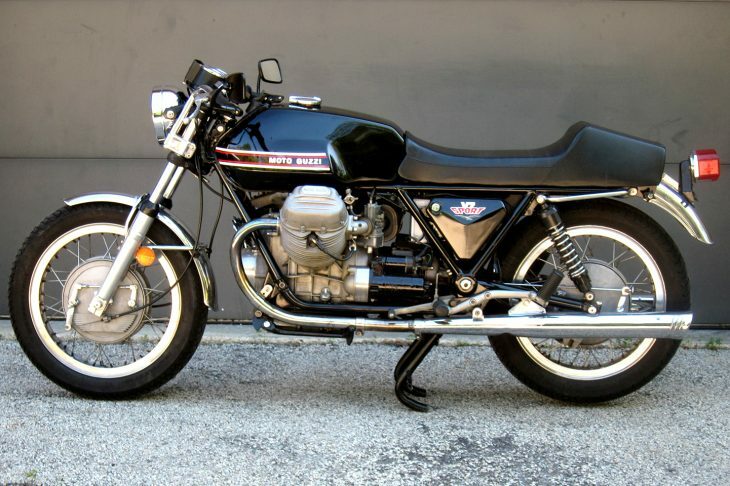 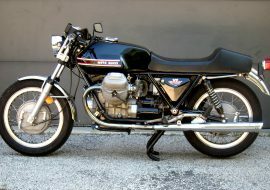 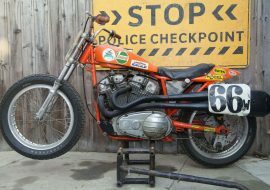 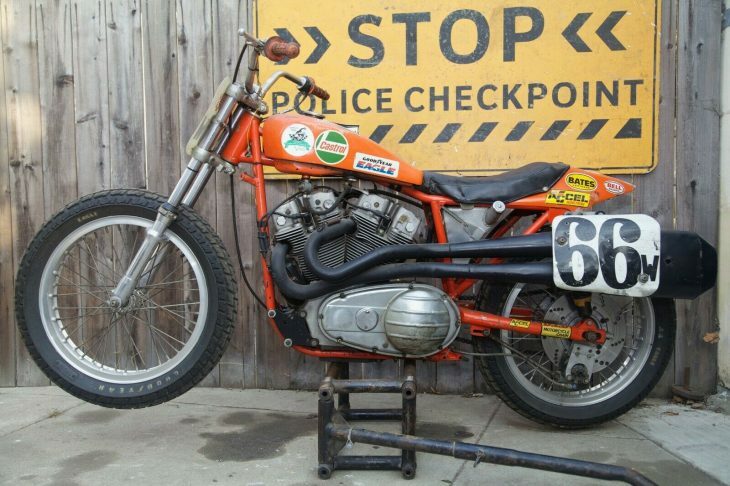 Always equipped with a carburetted V-4 good for 59 hp, the later NC30 had a 360-degree big bang crank, exhaust on the left to expose the single sided swingarm, and sharp RC30 styling. 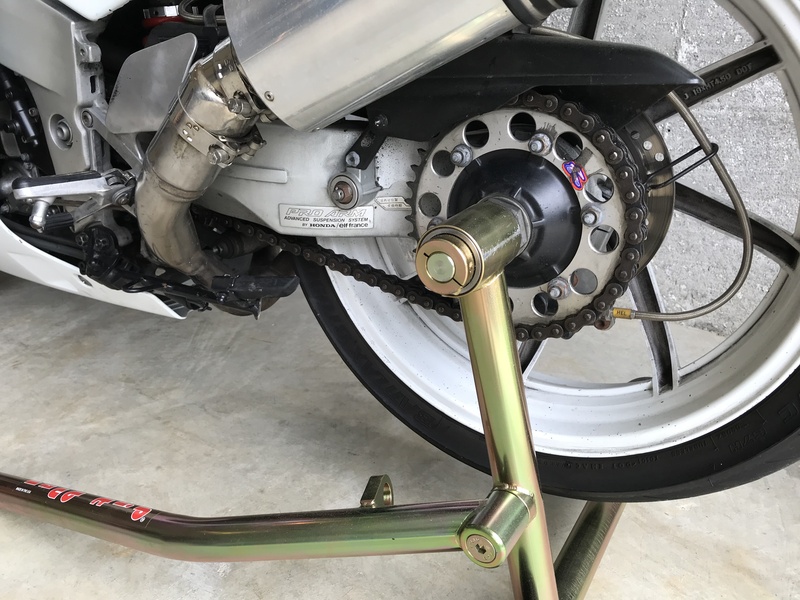 Gear driven cams impart a vintage whine to the 14,500 rpm rev limit, and offset tire sizes ( 16-inch front / 18-inch rear ) insure agile handling. 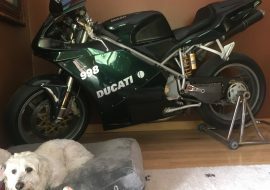 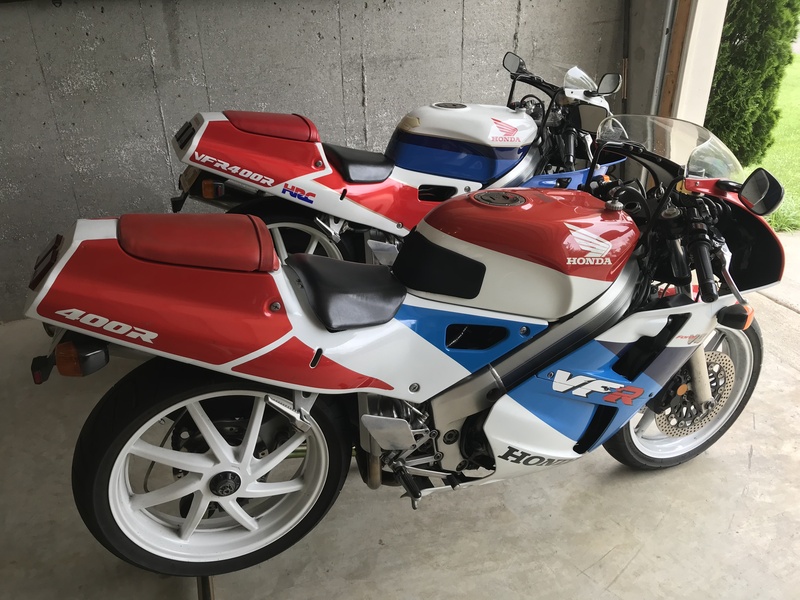 Both bikes are super clean, the '89 having an aftermarket monoshock and exhaust, and '90 is nice shape - having been recently delivered from Moto2. 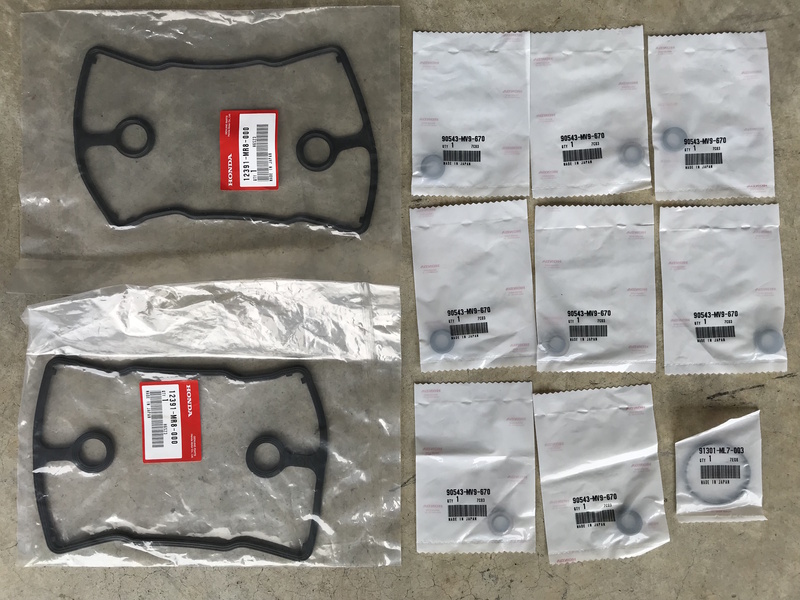 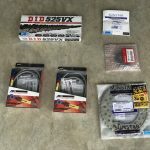 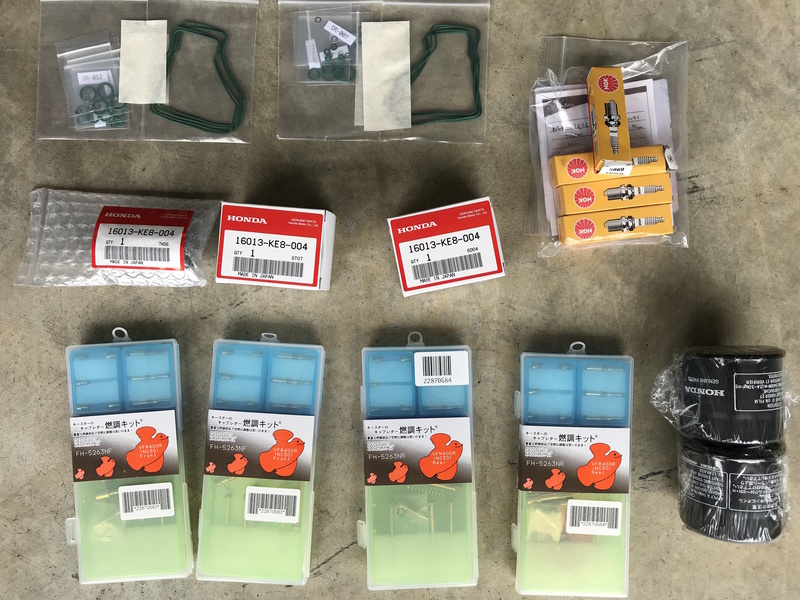 Both have new voltage regulators, and a lot of spares are available. 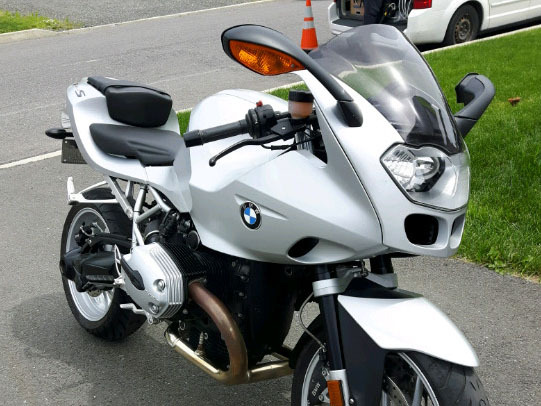 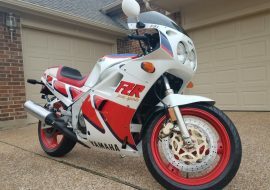 Comments and gallery for each bike follow below. 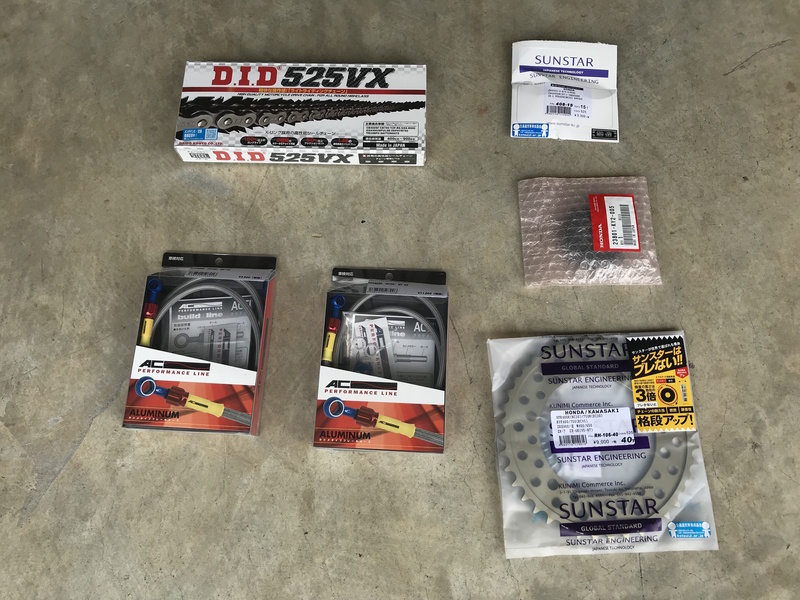 - It's time for sprockets and chain change; parts in hand, just haven't gotten around to replacing. 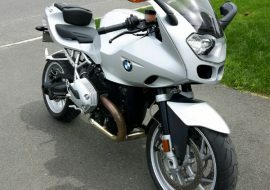 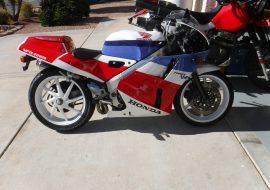 1990 NC30 ( Type I Color - white tank and nose ): Overall, she's in excellent condition and needs nothing. 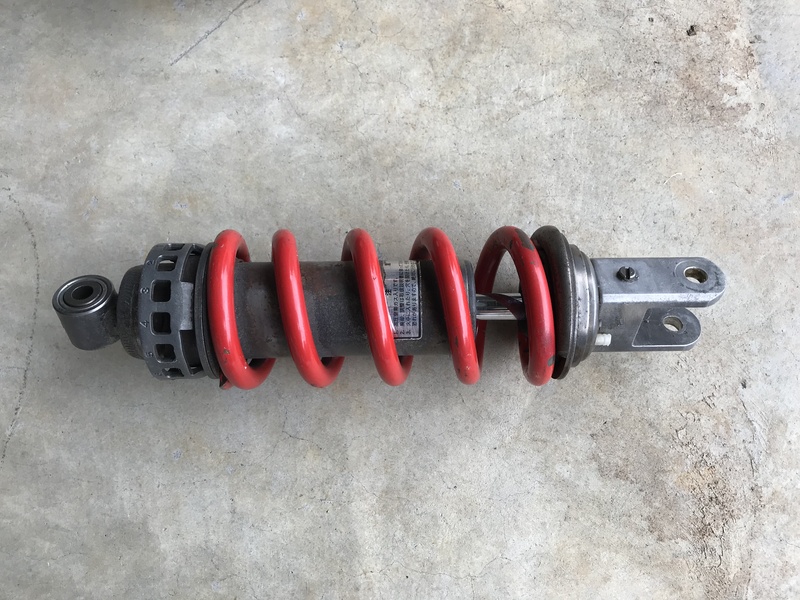 The NC30's fair power, almost full size and low ready-to-ride weight have made it the standard for small sports. 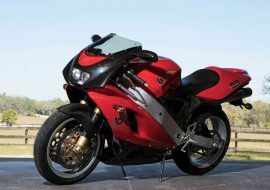 Reviews from the day praised the easy riding balance and top build quality. 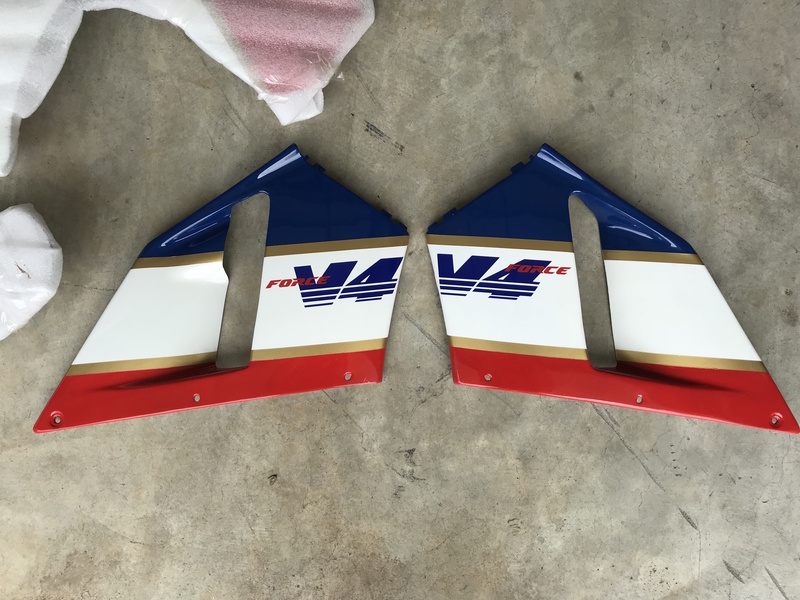 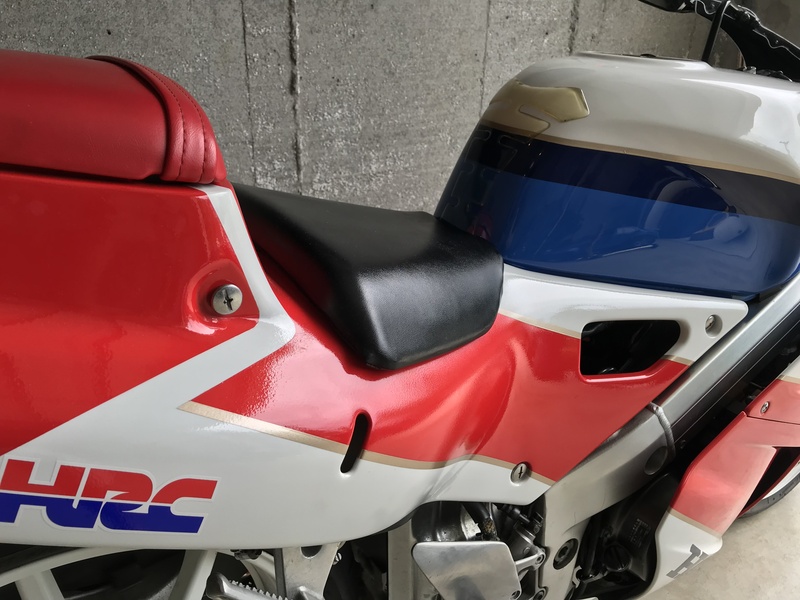 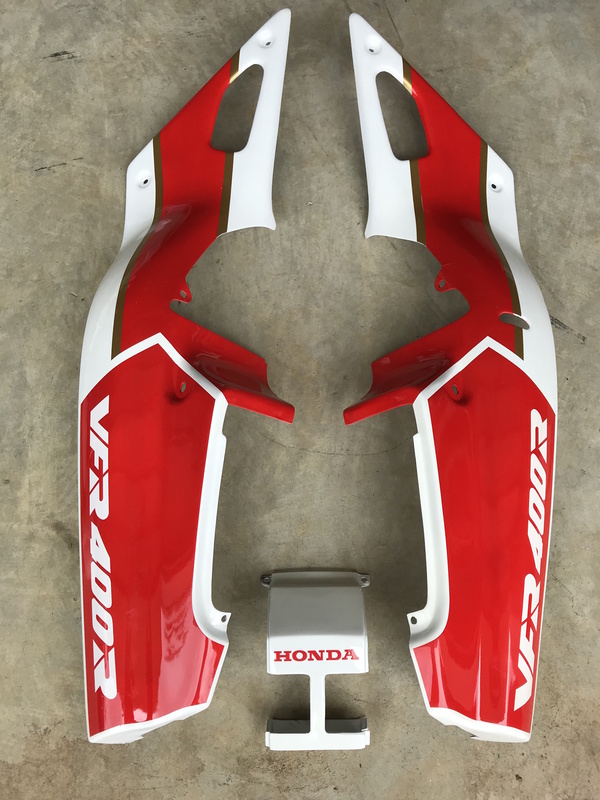 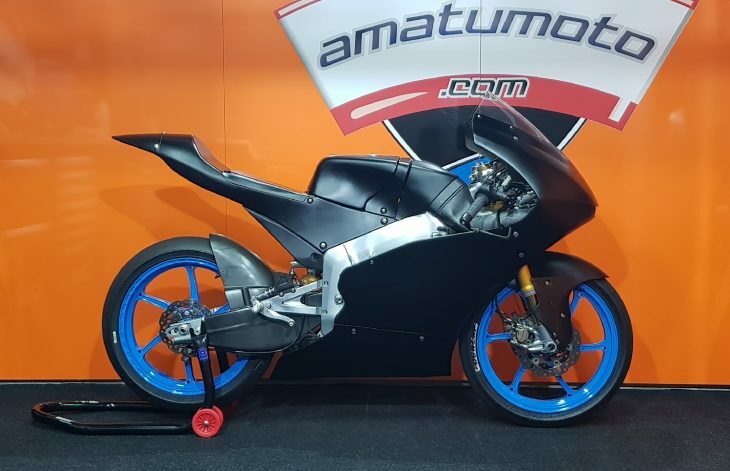 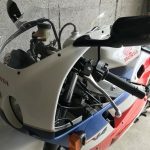 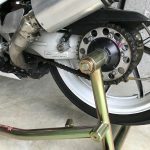 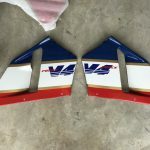 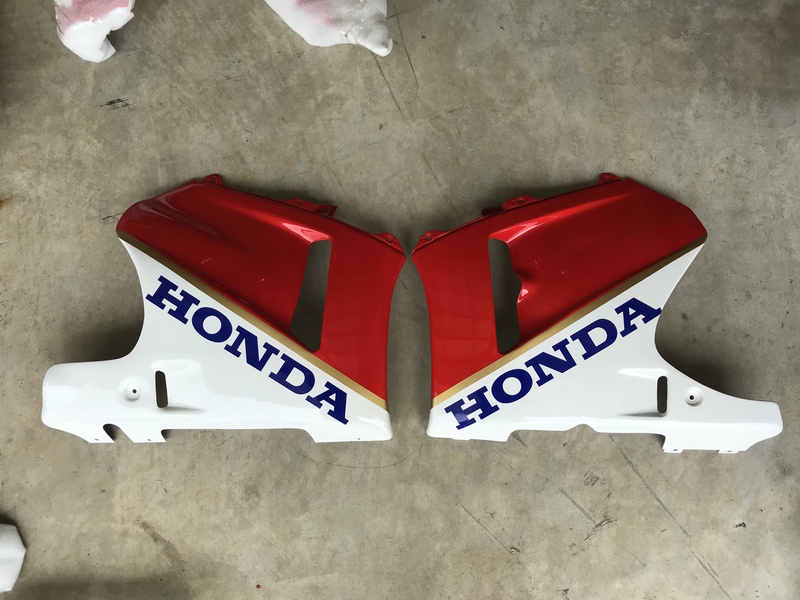 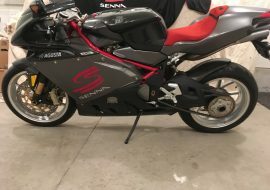 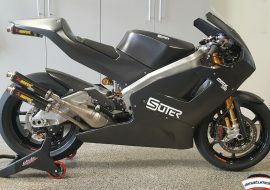 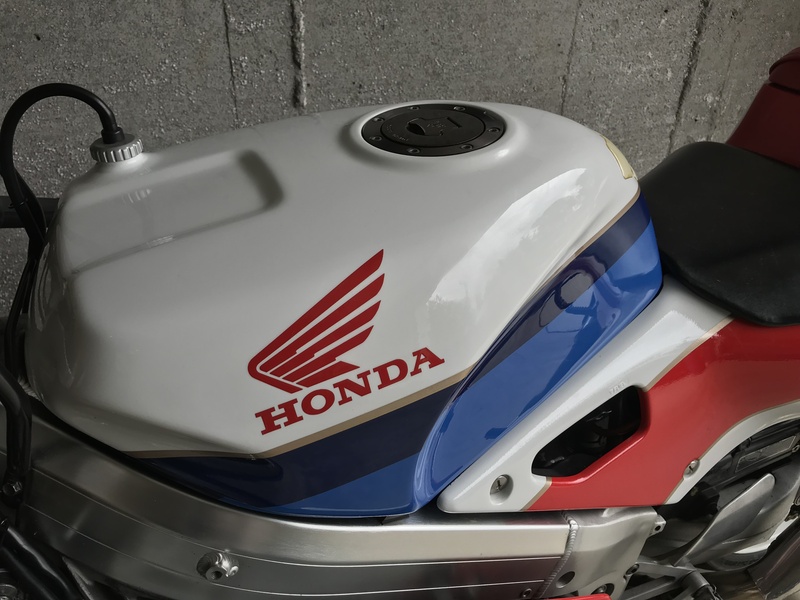 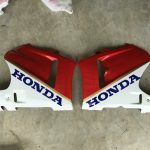 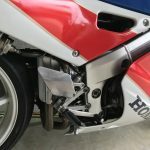 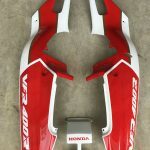 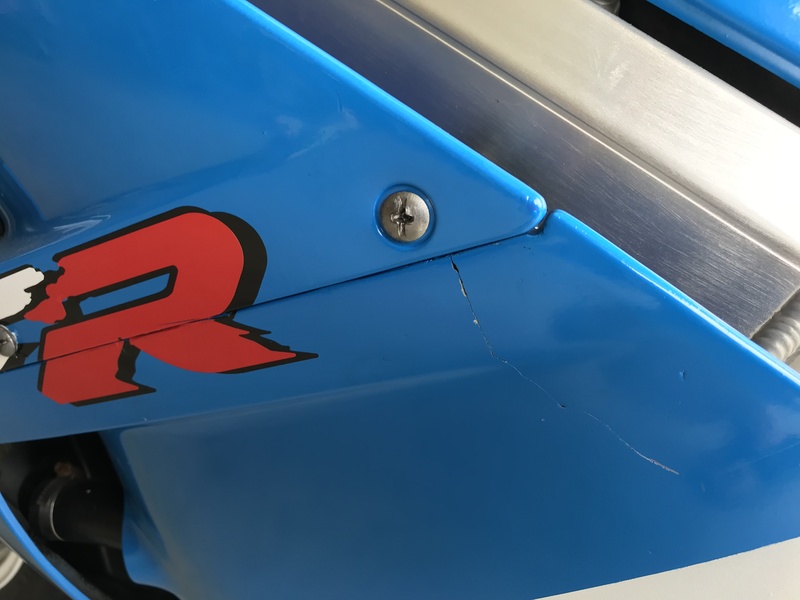 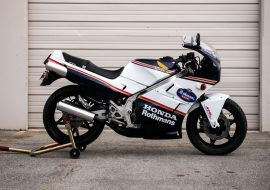 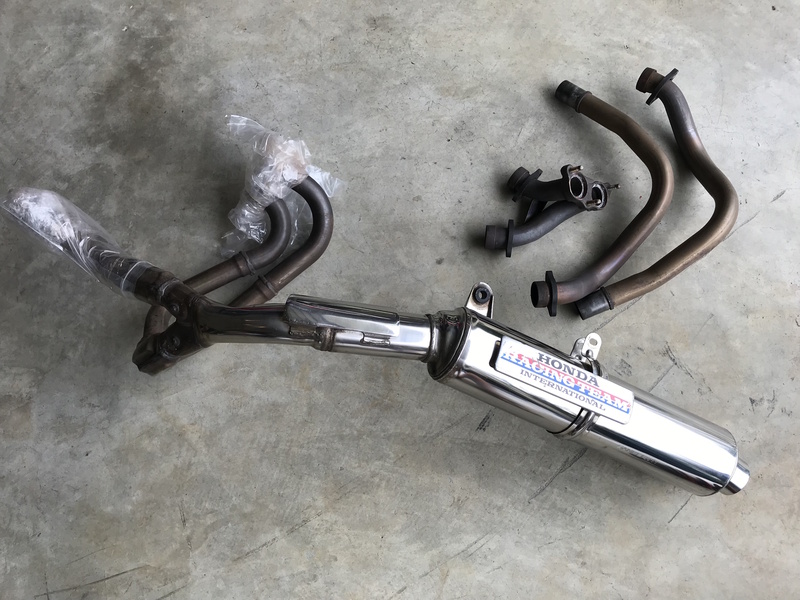 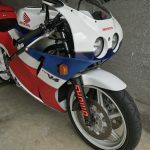 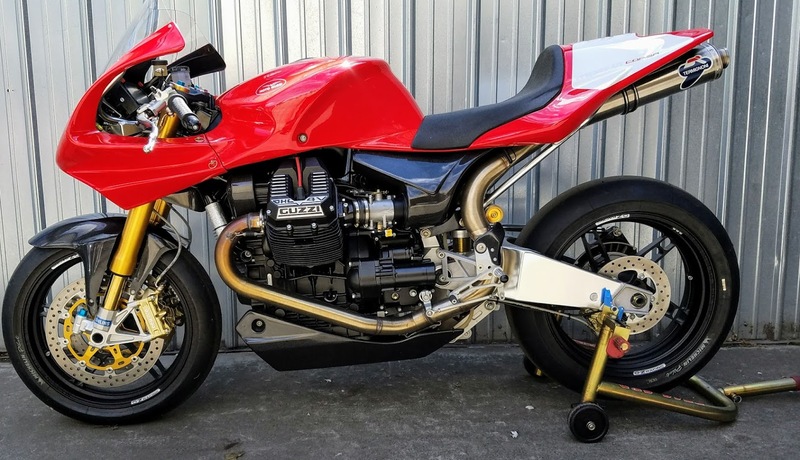 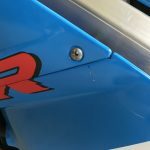 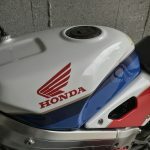 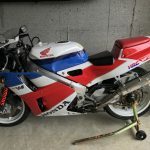 The 1990's Moto2 pedigree is helpful since a thorough going over by Speedwerks is part of their service, and the RC30 lookalike livery will make them wonder - if only for a time. 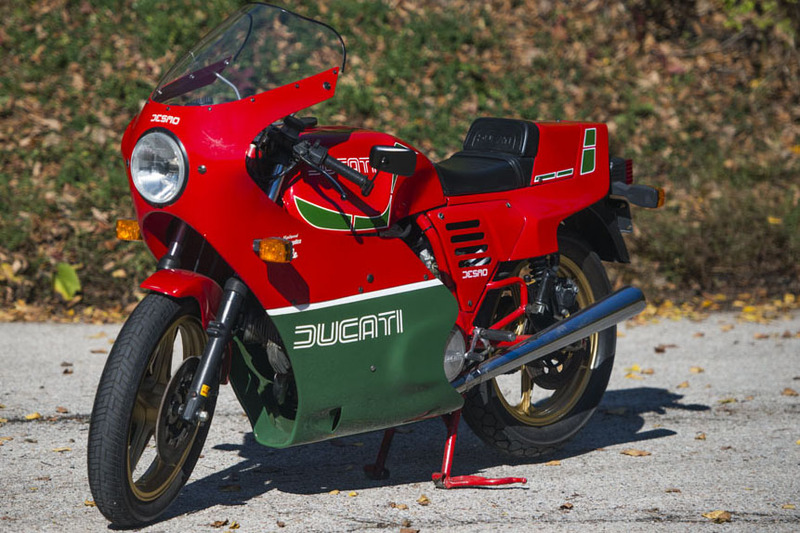 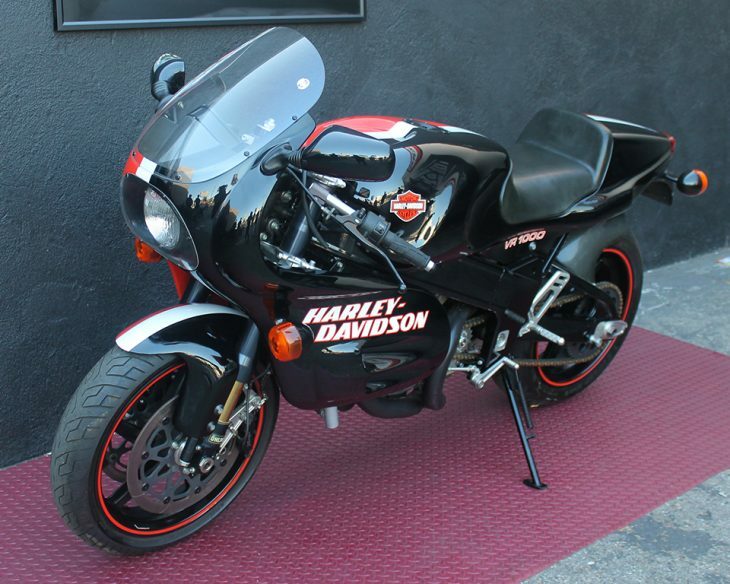 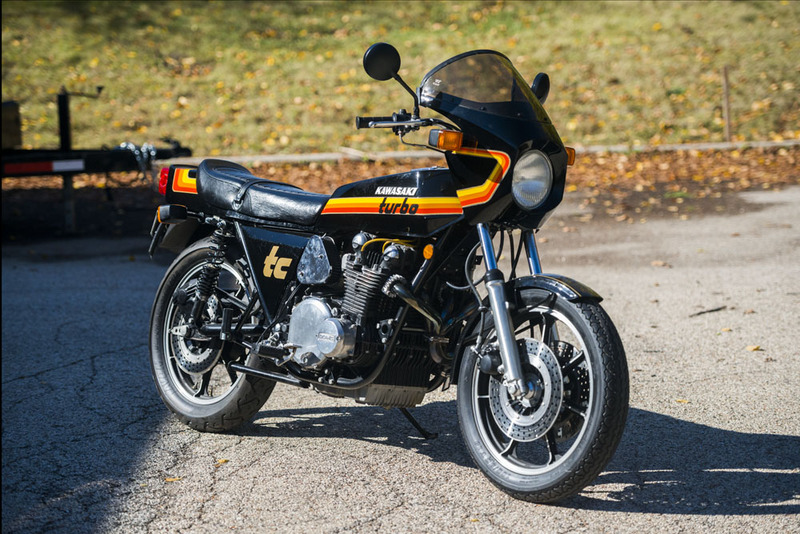 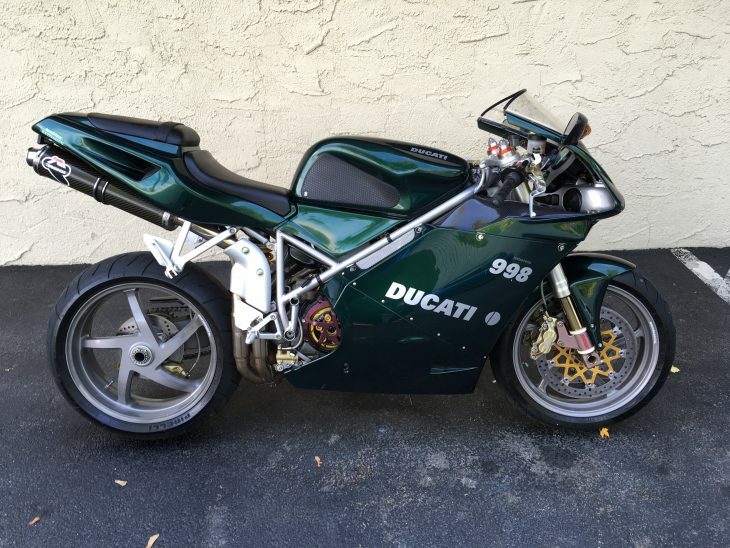 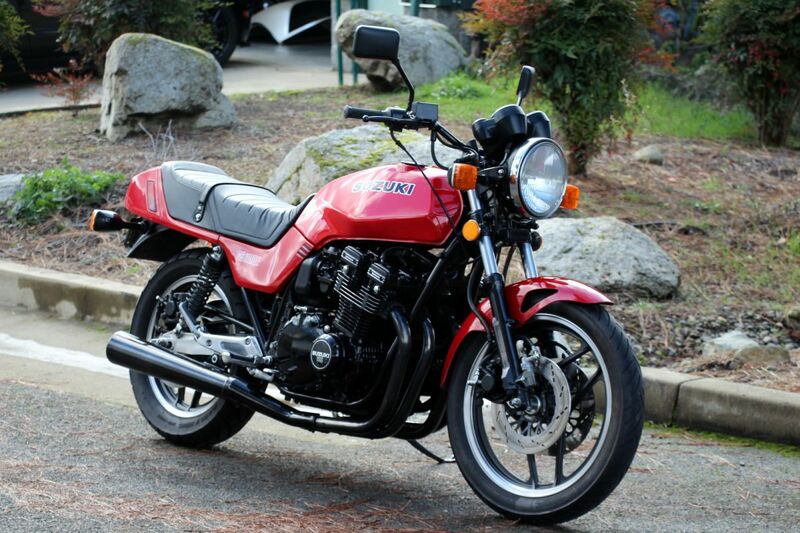 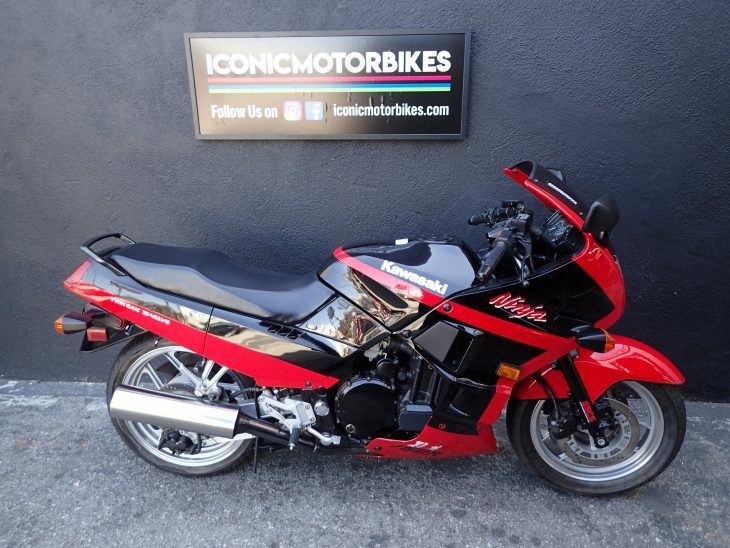 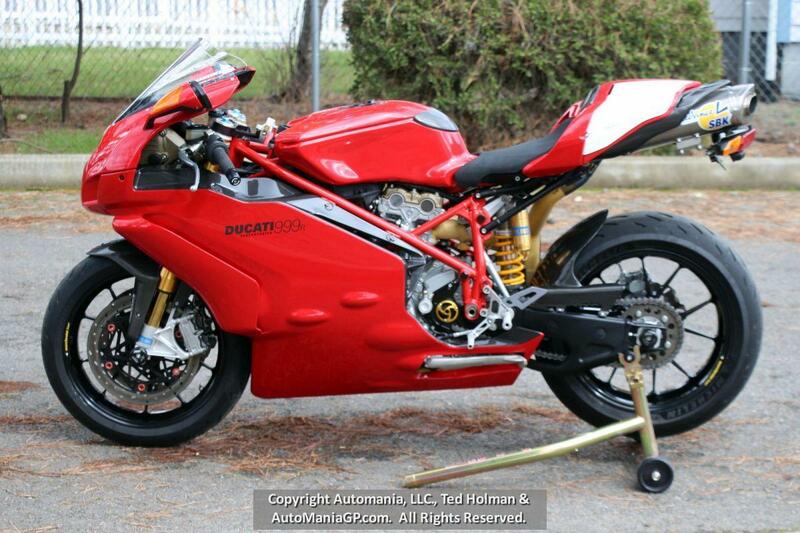 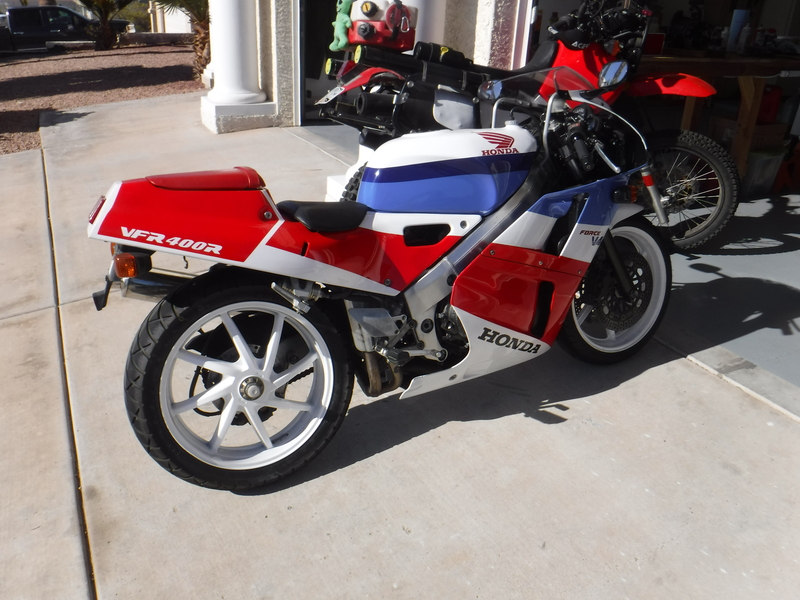 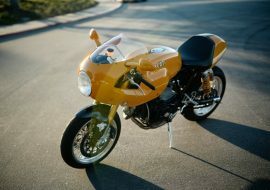 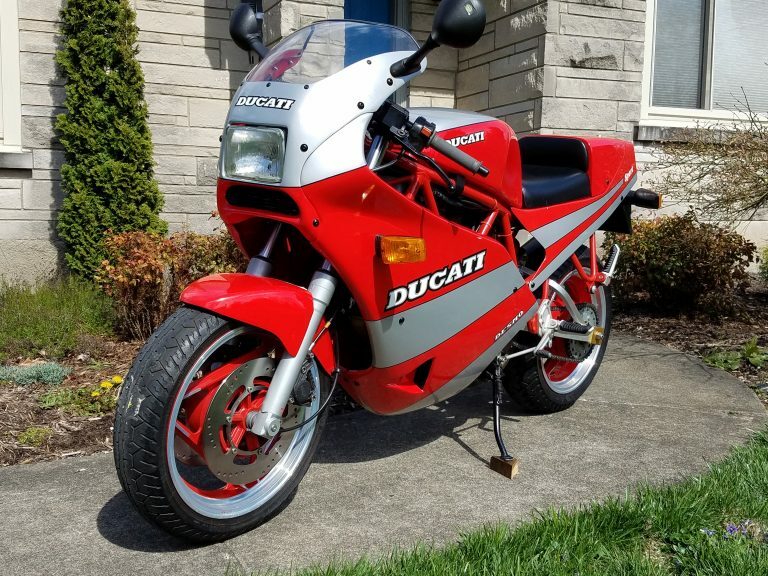 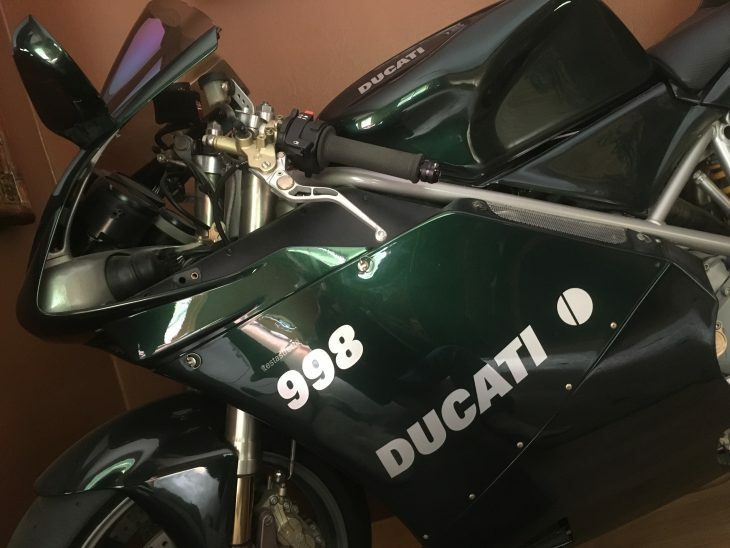 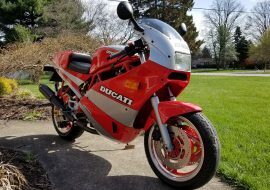 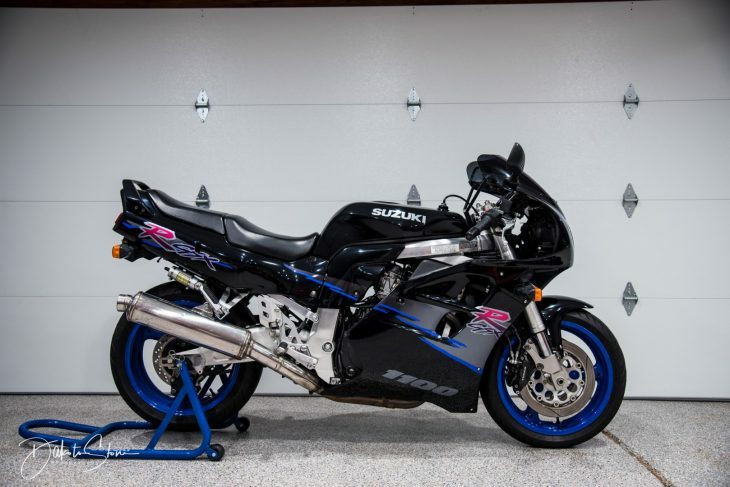 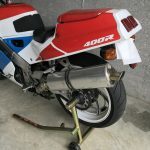 The 1989 has recent maintenance, some nice mods and backup fairing, exhaust and monoshock. 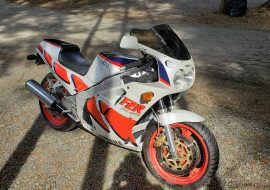 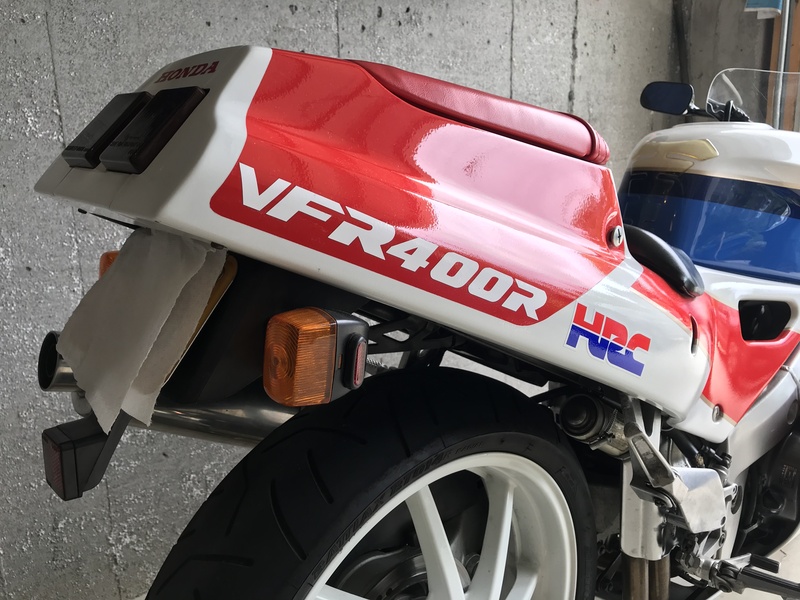 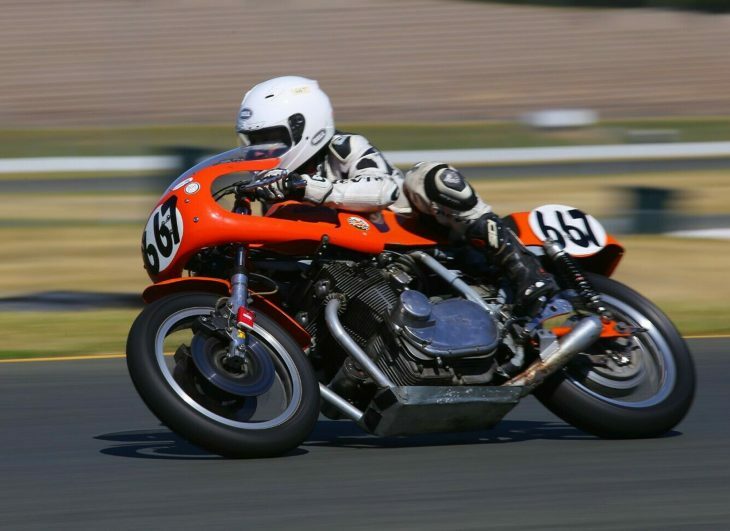 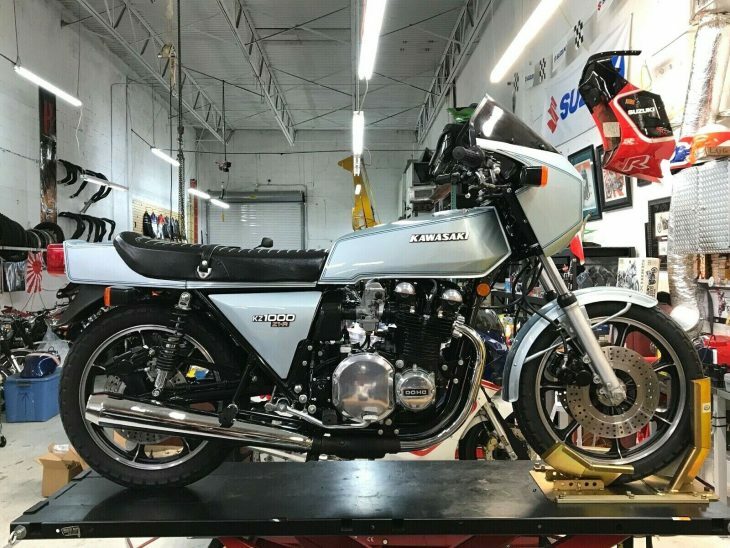 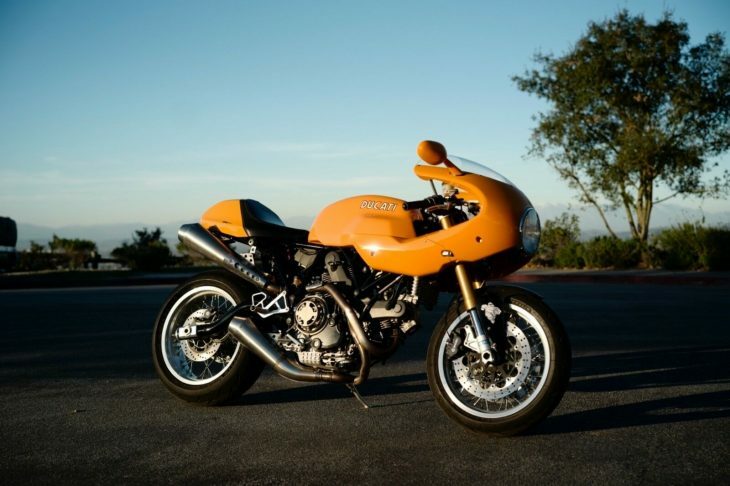 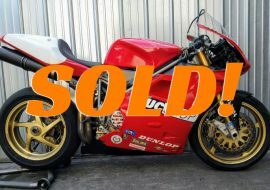 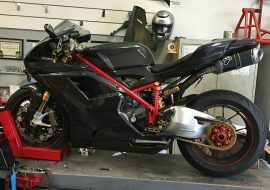 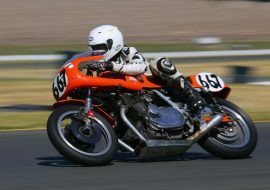 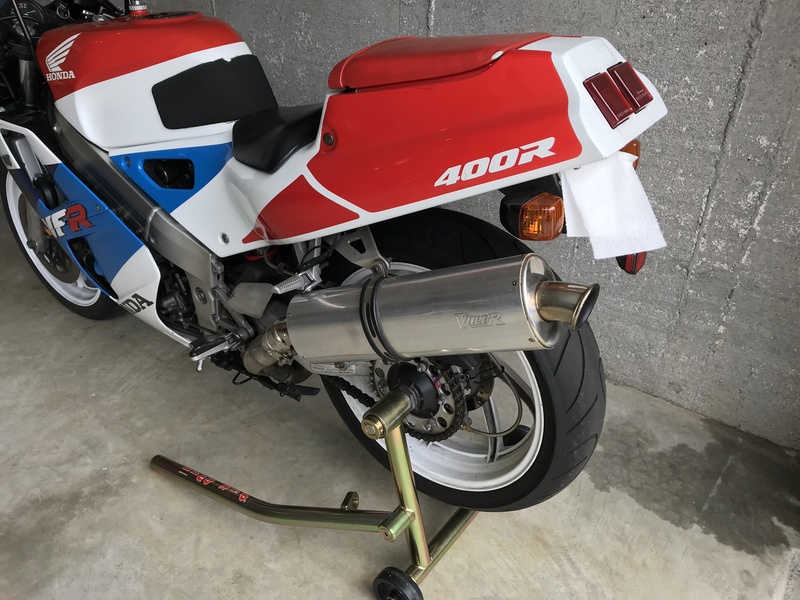 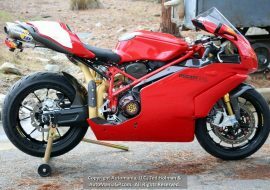 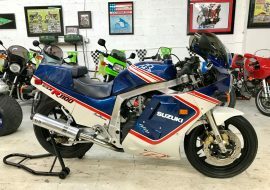 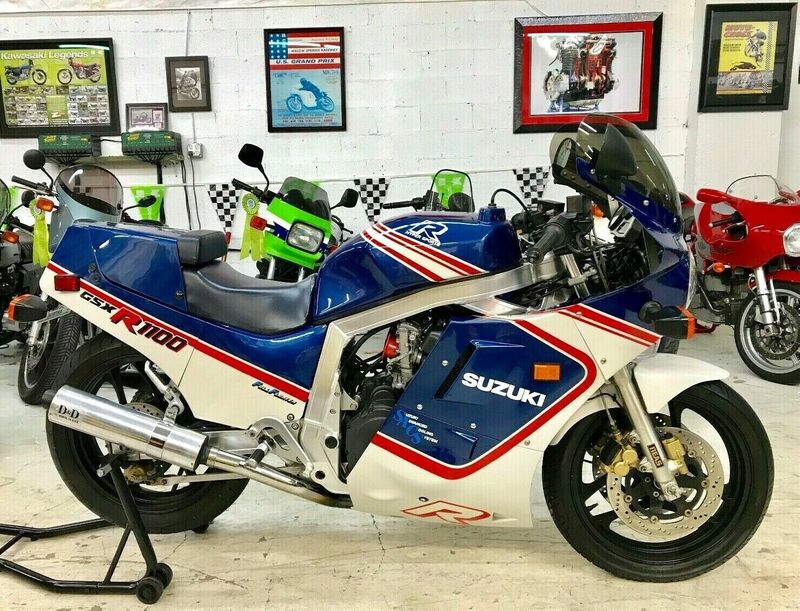 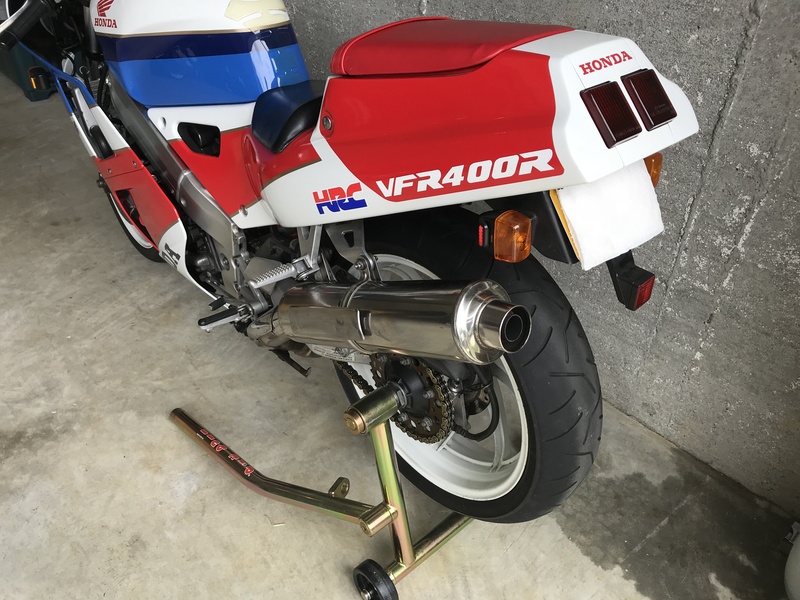 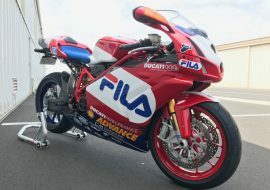 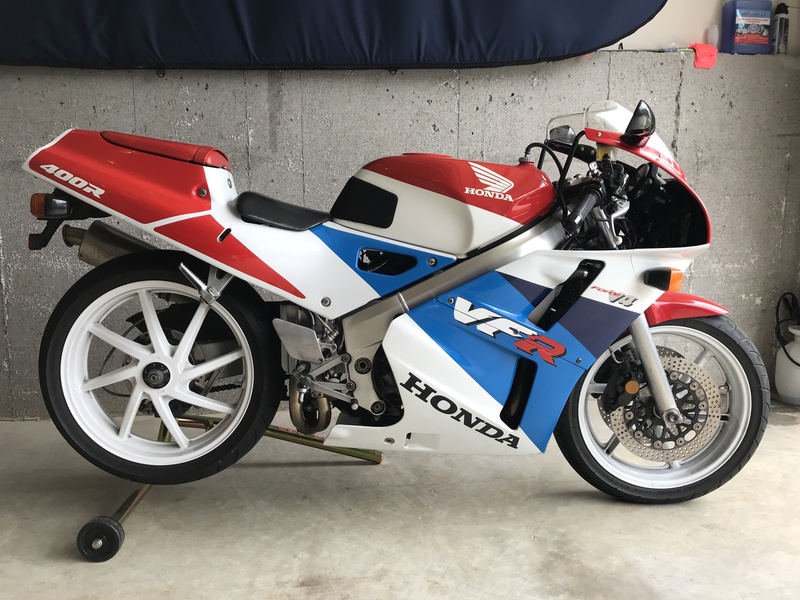 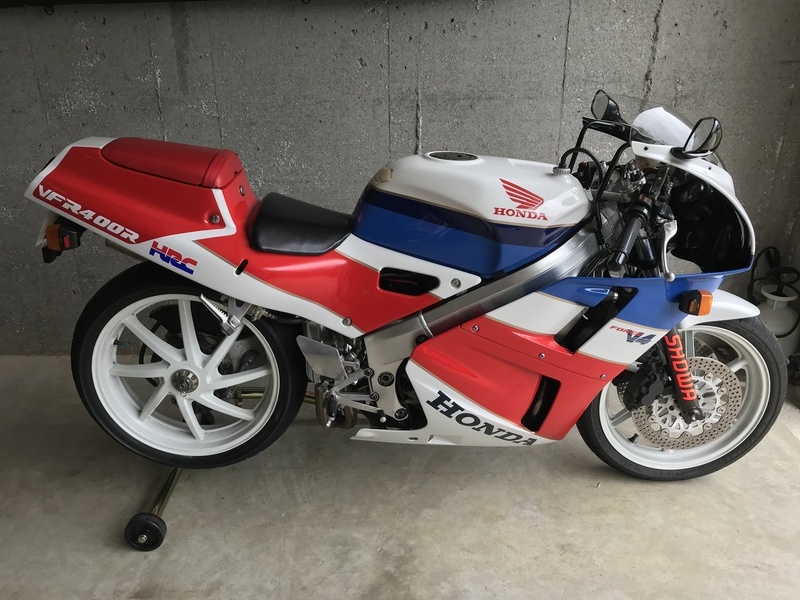 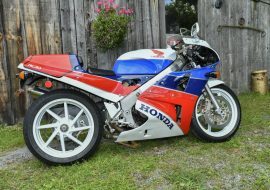 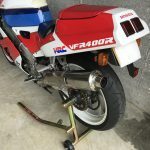 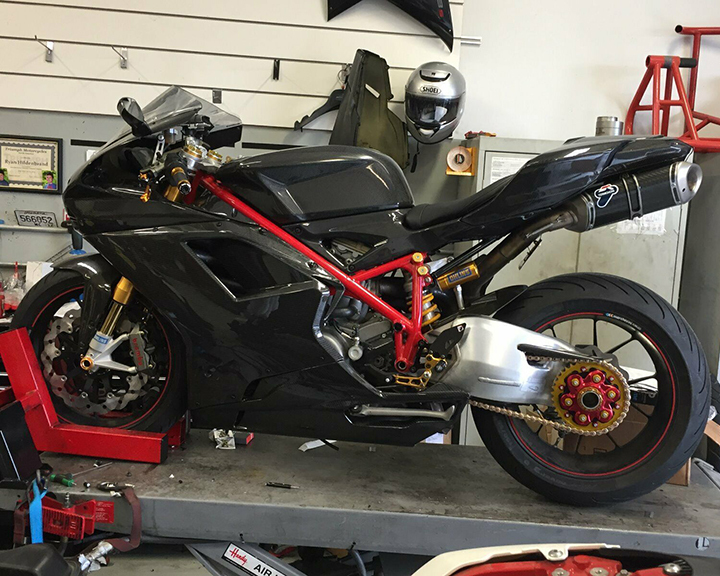 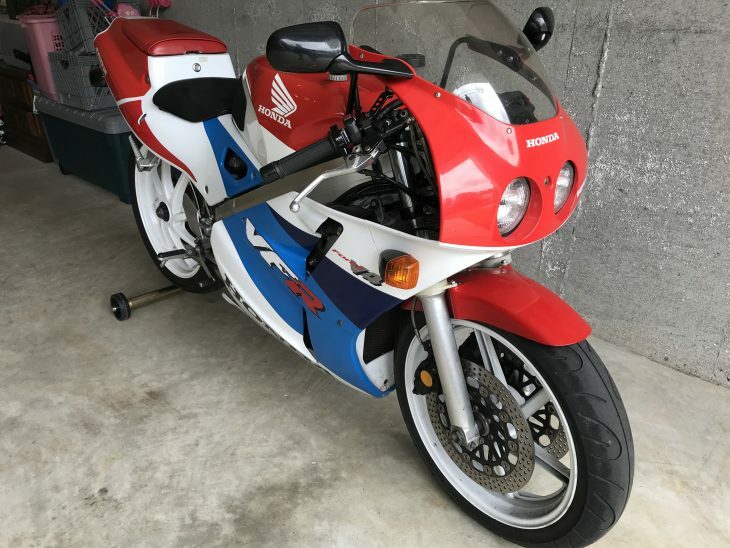 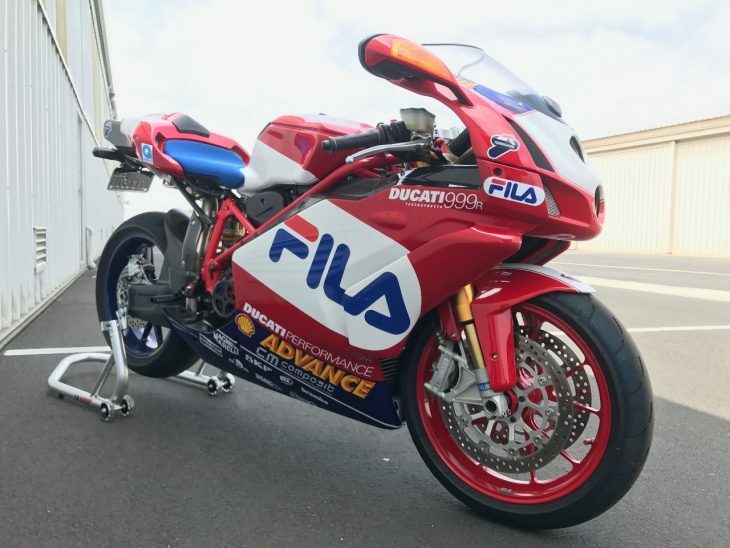 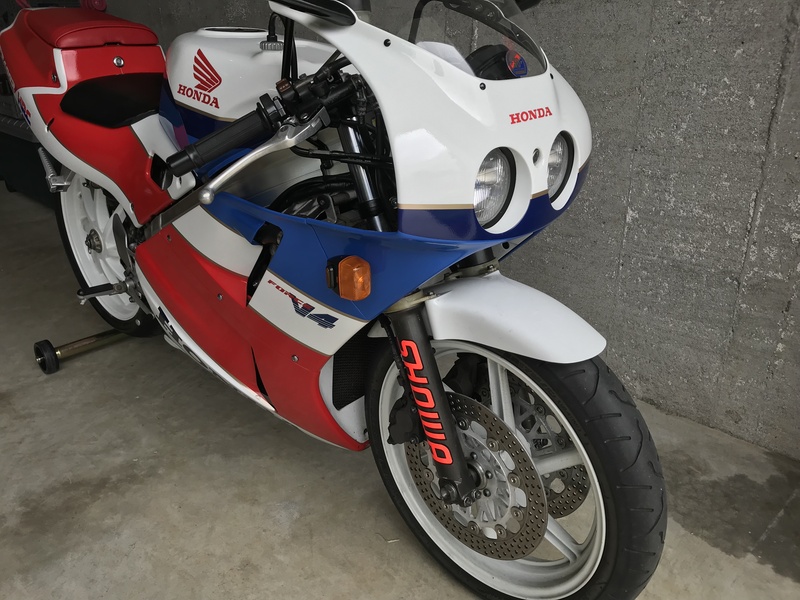 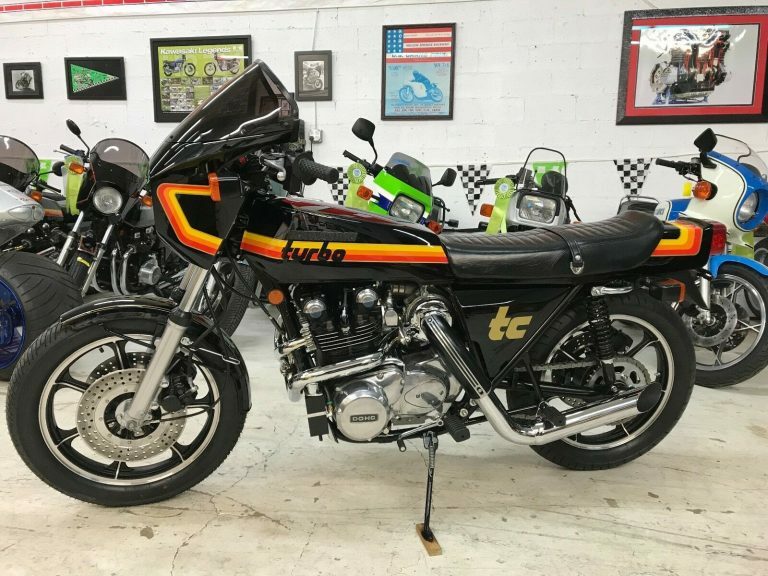 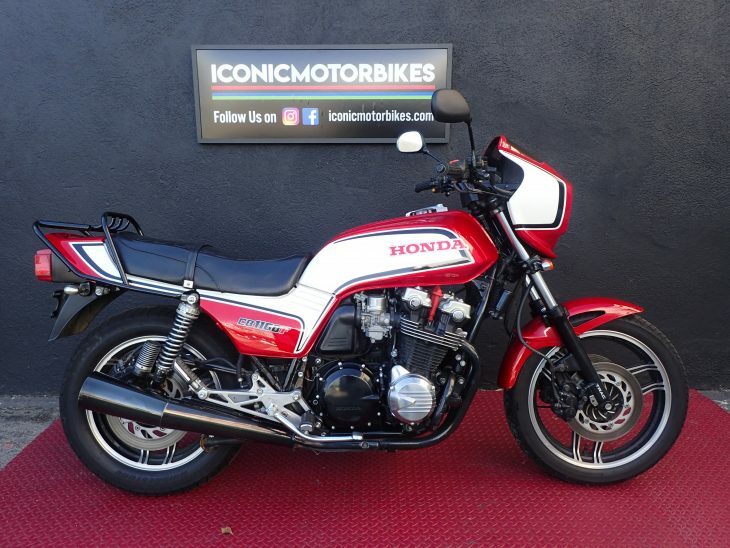 The owner Ken has made a deal with his better half to get it down to one bike and has his eye on a follow-on model, the RVF. 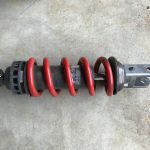 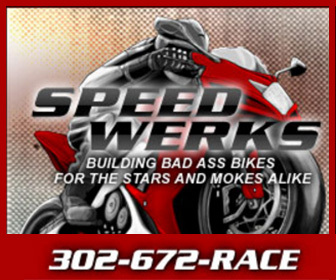 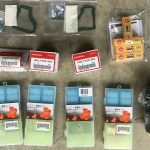 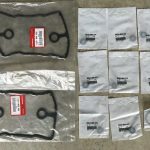 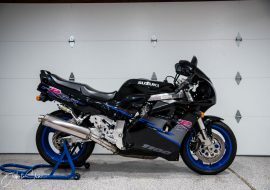 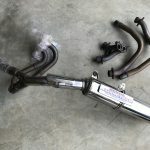 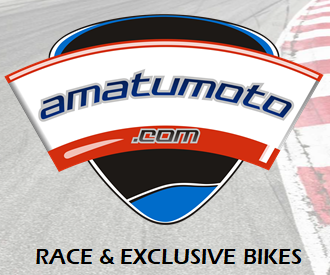 Located near Washington, D.C. he offers delivery in DelMarVa, or will prepare the bikes for pickup. 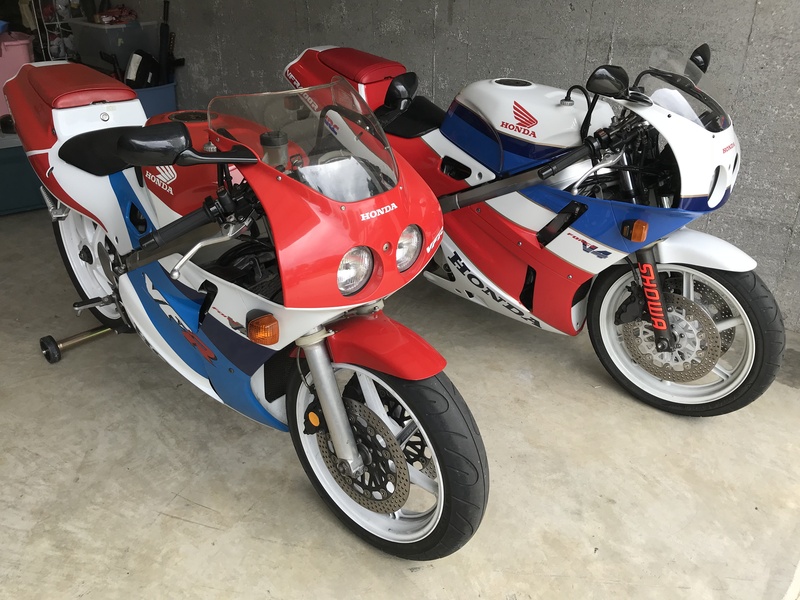 Ken asks $16,000 for the pair and can be contacted - here -.